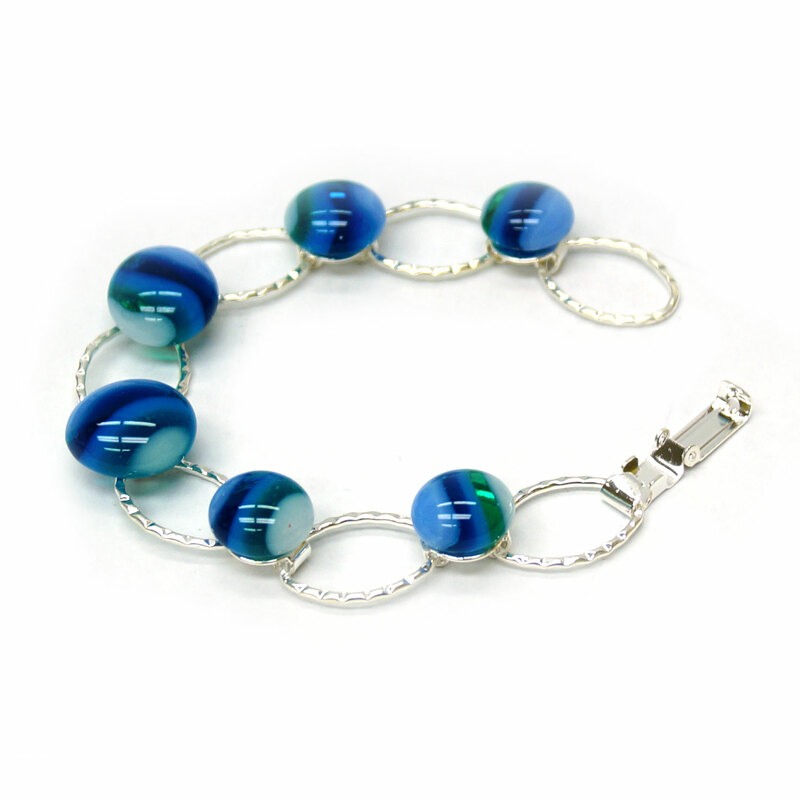 Turn your tested compatible scrap glass into incredible fused glass gems. 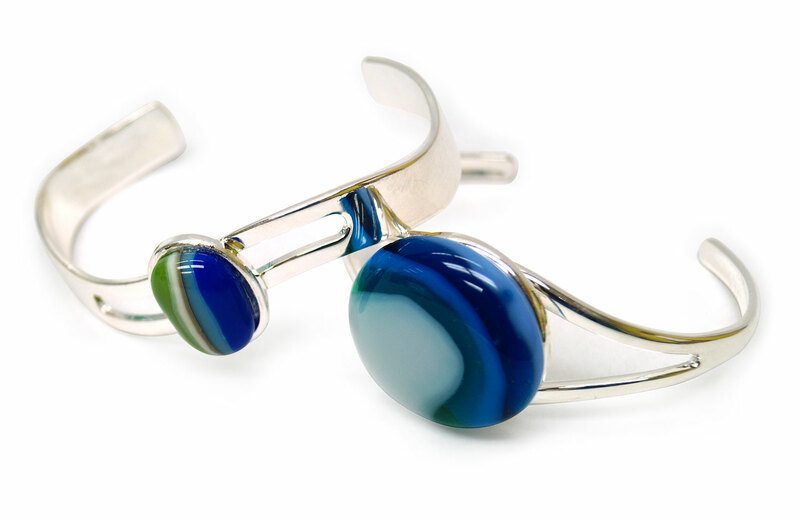 By selecting unique color combinations from vibrant contrasting hues to neutral complementary tones you can capture the look of Fordite, natural agates, malachite, tiger eye and more. 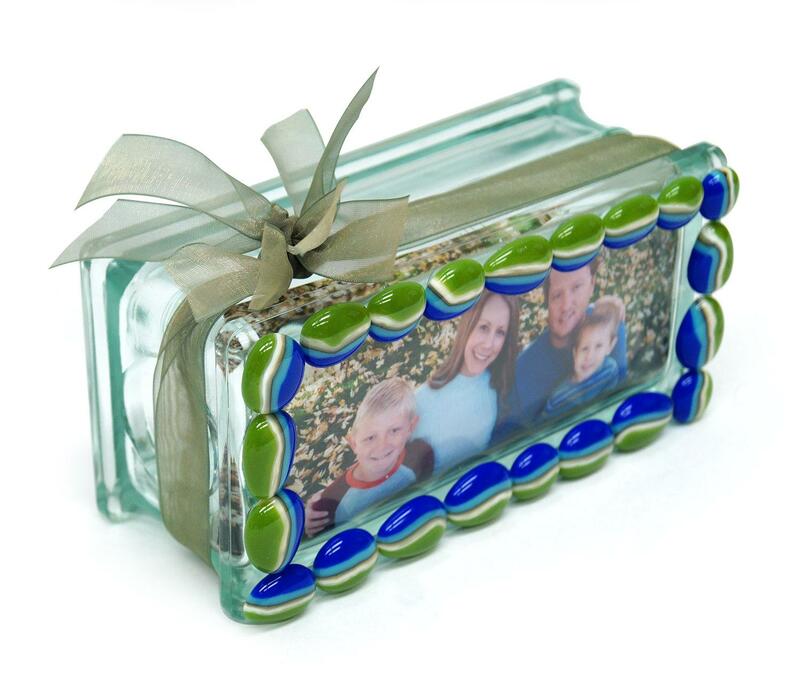 Use the fused color puddles to create beautiful jewelry, hot mosaics and other fun glass art projects. 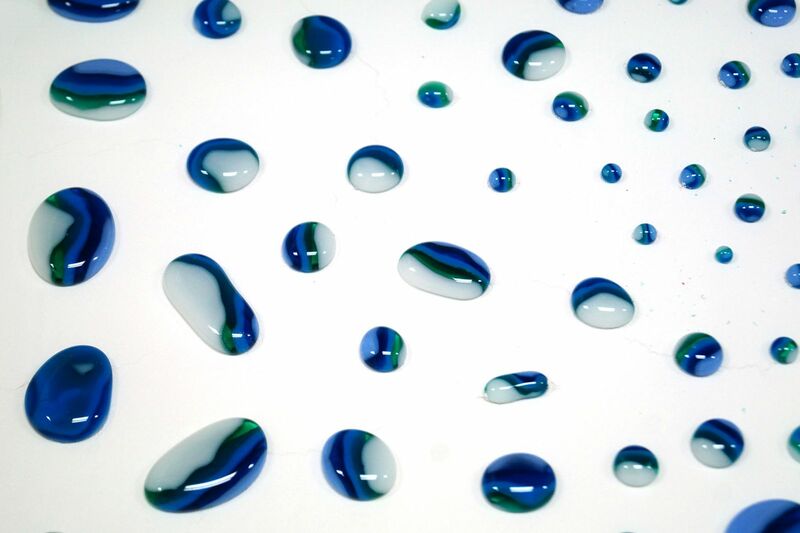 It's simple to make bold art using this simple technique. Projects shown by artist Danielle Wagner and Lanayia Shaw. 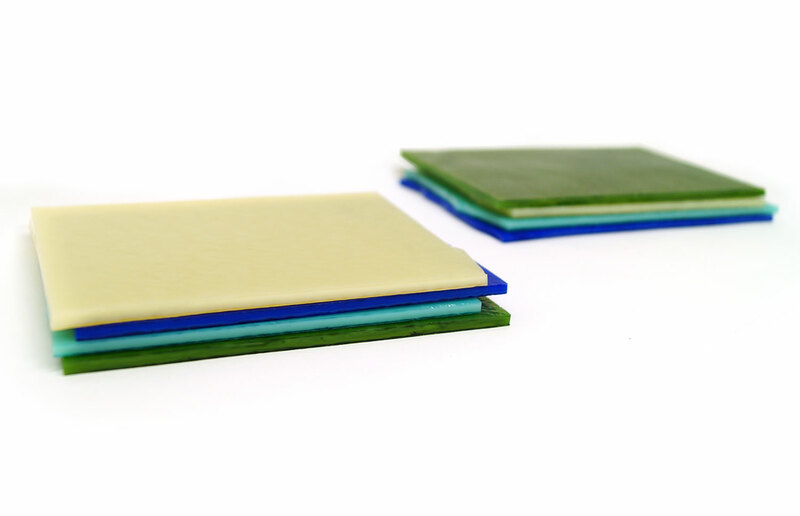 Select fusible glass in desired colors. Note: using high-contrast or reactive colors can make the color transitions really stand out. 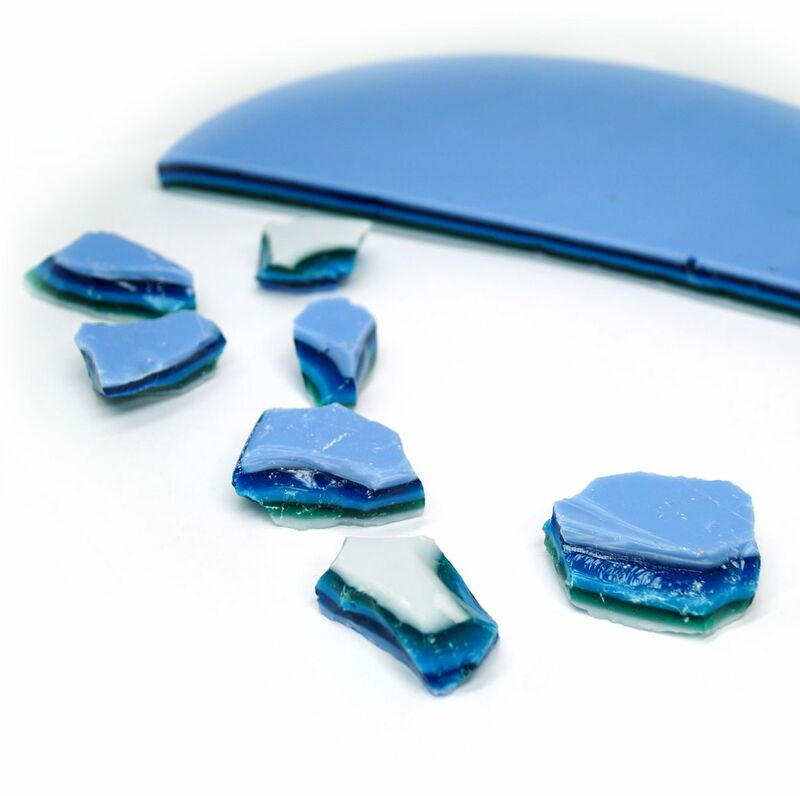 Cut pieces to fit into a dam mold, or cut all pieces to a similar size and shape. 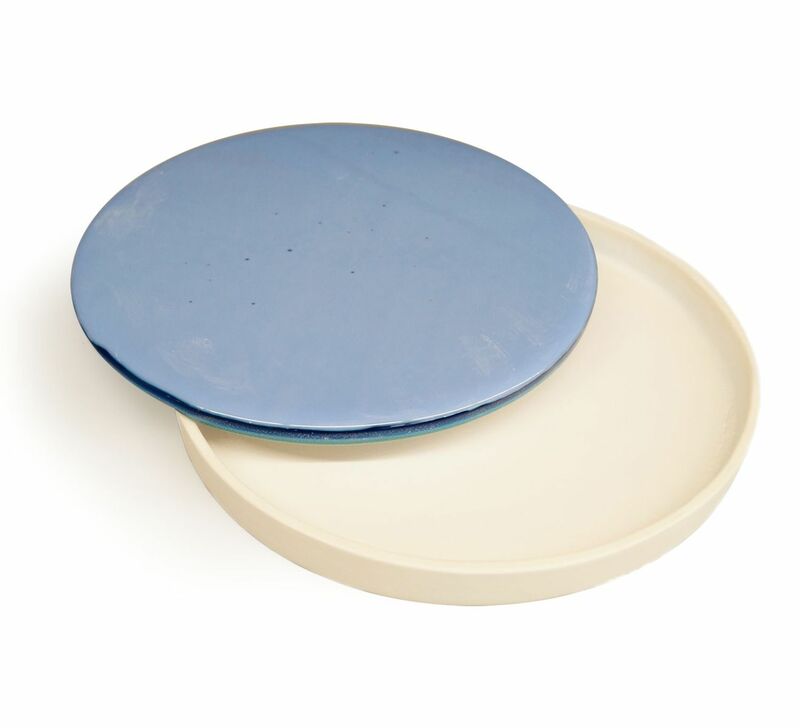 Stack glass pieces into prepared dam mold or position in the center of a prepared kiln shelf. 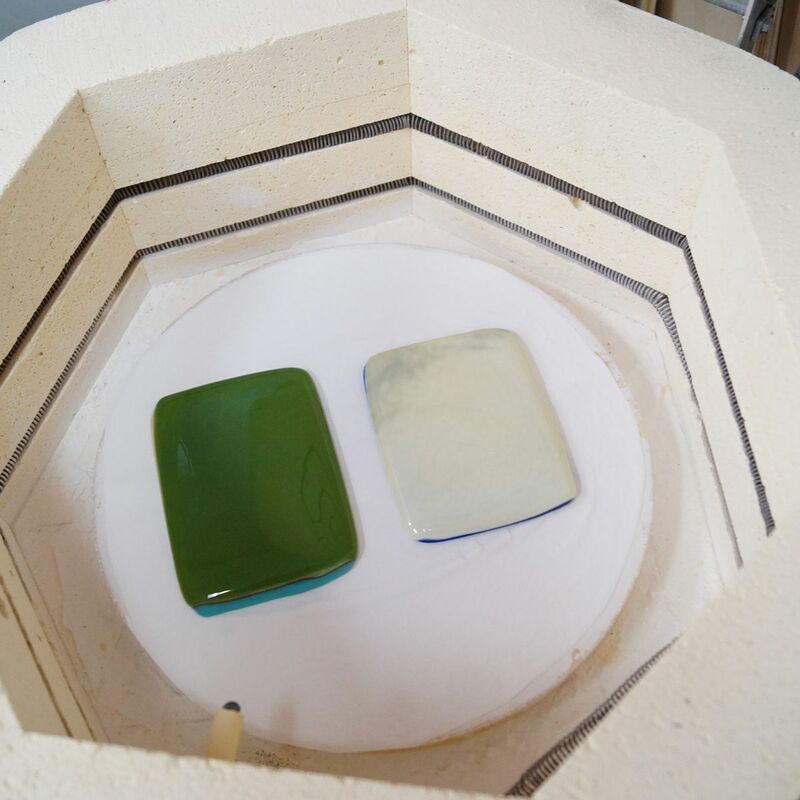 Fire glass to a full fuse to create a glass slab. Cut your slab into random shaped pieces. 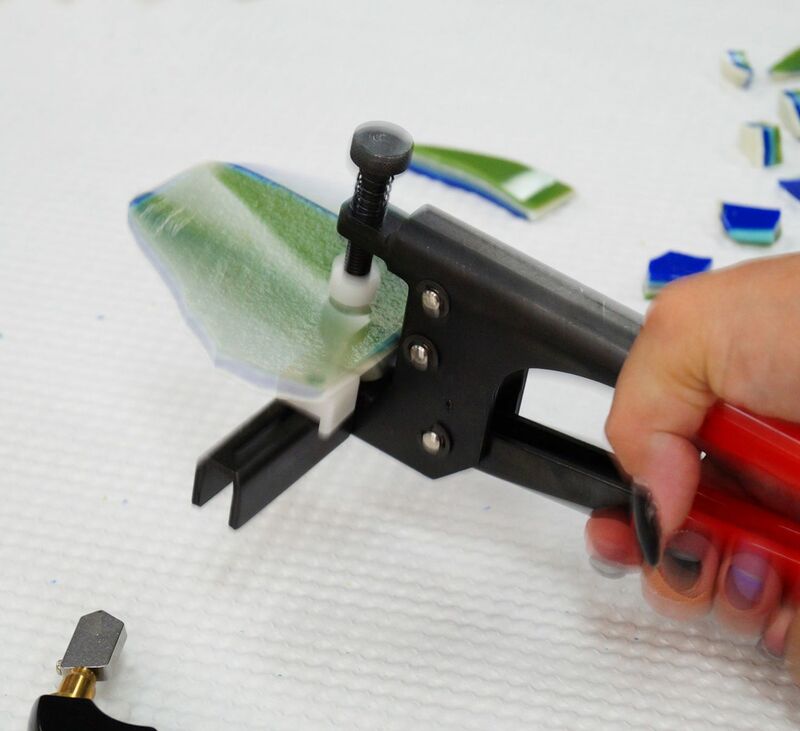 Delphi Tip: Use the TAP wheel cutter to score glass and break with the Power Breaker tool to cut large slabs into more managable sizes. 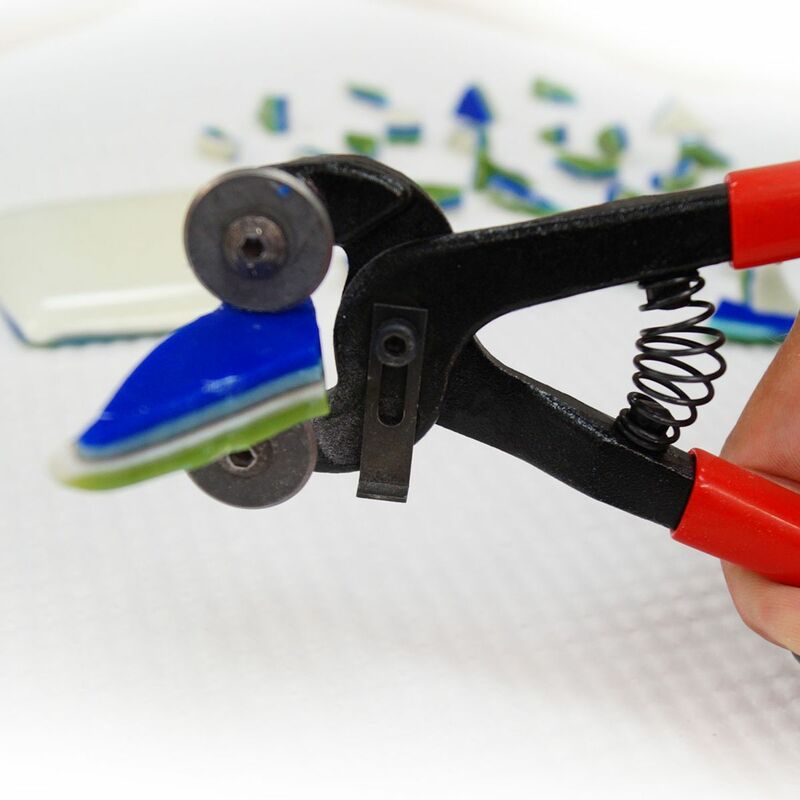 Use glass or tile nippers to finish cutting your slab. Delphi Tip: Pieces don't have to all be identically sized, a variety of sizes makes it possible to create coordinating jewelry sets or to fill spaces in your hot mosaic. 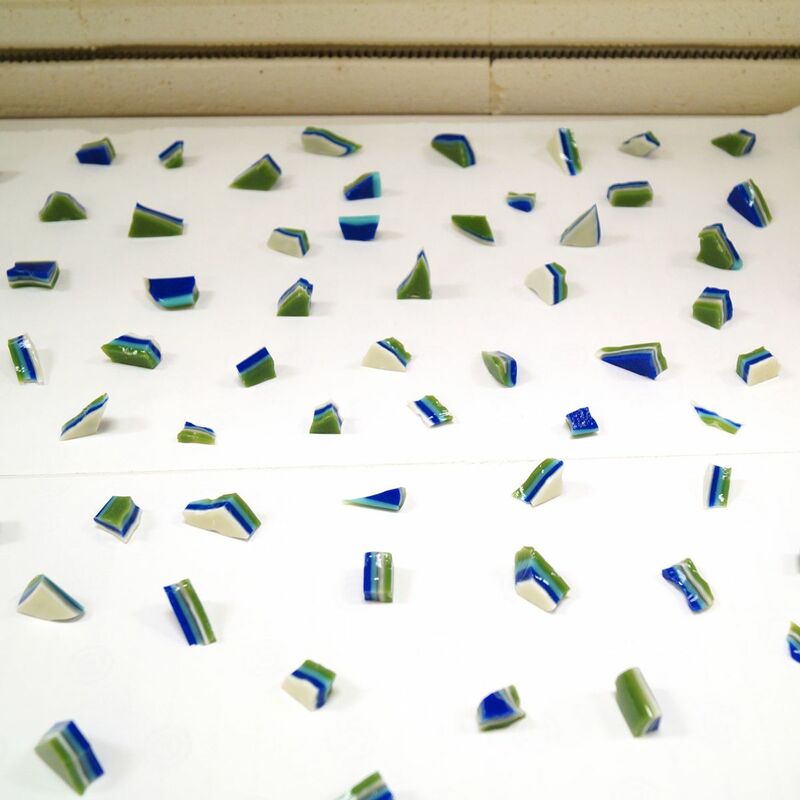 Position the cut chunks of glass on-edge on a prepared kiln shelf. Note: Tested compatible glass is formulated to tolerate multiple firings at full fuse temperatures with little risk of devitrification. 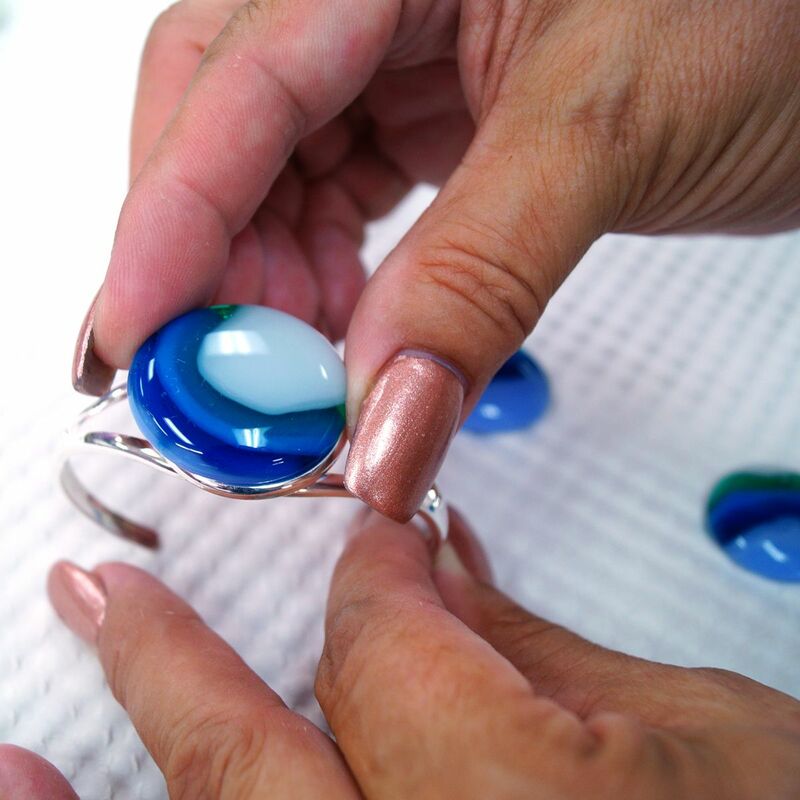 Clean your glass gems and use them to make fashionable accessories, to create a hot glass mosaic, or to incorporate into a larger fusing project.